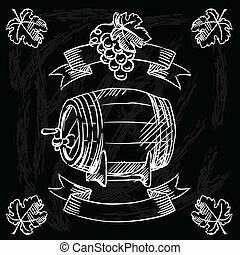 Background with grape, barrel and paper on wooden board. 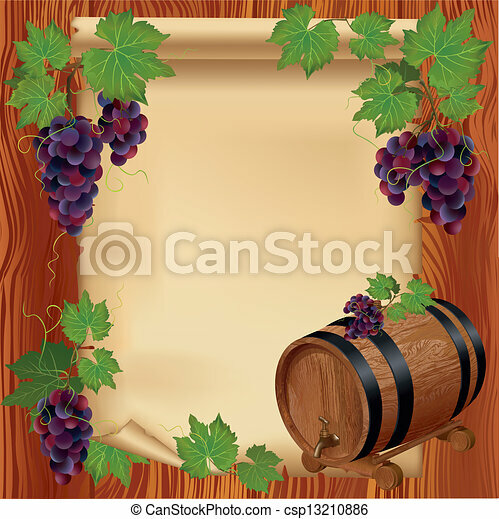 Background with realistic grape, barrel and old paper on wooden board. 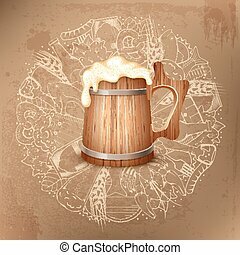 Beer barrel on white background. 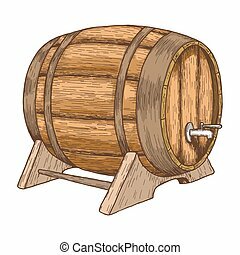 Colorful sketch of barrel with beer. 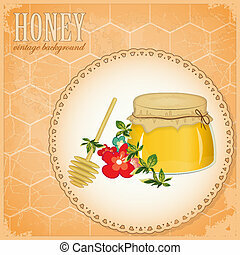 Vintage style illustration of wooden barrel. 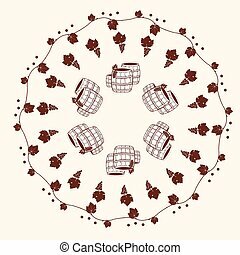 Hand drawing of beer barrel. Vector. 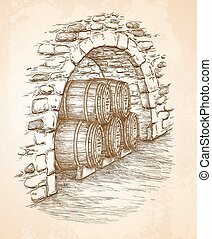 Ancient cellar with wooden barrels. Hand drawn vector illustration on old paper background. Retro style. 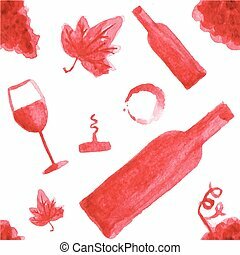 Seamless watercolor pattern with wine stuff on the white background, aquarelle. Vector illustration. Hand-drawn background. Original wine theme background. Useful for invitations, scrapbooking, design. 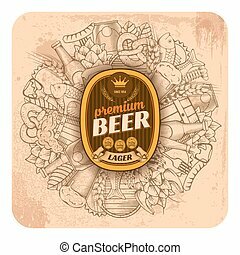 Background design with beer sticker icons and objects. Wine set. 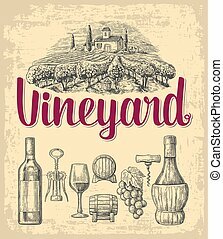 Bottle, glass, corkscrew, barrel, bunch of grapes, vineyard. Vector engraving drawn vintage illustration. Old paper beige texture background. For label, poster, vertical banner. 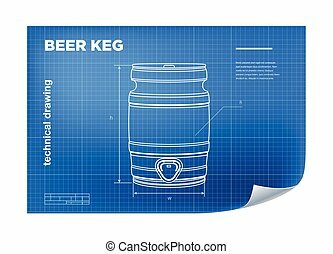 Technical wireframe Illustration with beer keg drawing on the blueprint. 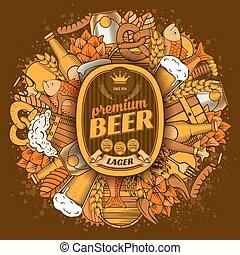 Beer round design in Outline Hand Drawn Doodle Style with Different Objects on Beer Theme. Beer and Snack. Colorful. All elements are separated and editable. Vector Illustration. 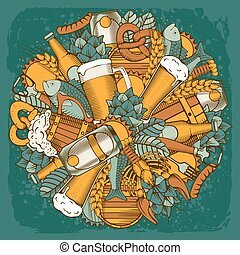 Beer coaster design in Outline Hand Drawn Doodle Style with Different Objects on Beer Theme. 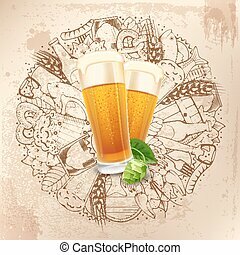 Beer and Snack. Paste your company logo in center. Colorful. All elements are separated and editable. Vector Illustration.